Hotels are the main form of accommodation for Jasper and the Marmot Basin, found in the centre of town and nearer the slopes. 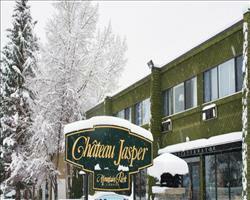 In the middle of downtown Jasper, Chateau Jasper is famed for its great value and acclaimed restaurant, while the Sawridge Hotel is widely considered the best in town - both are moments away from the nearest bus stop, where the shuttle will whisk you up to Marmot. Slightly out of town (about 5 minutes by car), the legendary Fairmont Jasper Park Lodge is always a roaring success for couples, families and groups alike - putting on various events and activities throughout the season, including big weeks like Christmas and New Year. Accommodation's made up of lovely chalets and cabins dotted around the main lodge and spa, with a lakeside setting that's a delight to wake up to. 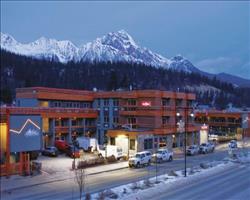 If you’re happy to consider other Canadian mountain resorts on top of Jasper, check our page of all Canada ski hotels. You can also use our main Ski Hotels page to filter through properties all over the globe.